The purpose of a blog is to establish yourself as an authority in your field. You’re demonstrating your area of expertise with each article you publish. It also helps you provide value to your audience because you’re giving them actionable knowledge—all for free. In this blog, we will walk you through step-by-step and you'll craft a 1-minute video ad to sell your products while telling a story. When we talk to clients unfortunately many times we hear the horror stories of hiring the wrong marketer for the job.  As an agency against the standard "agency" model and tactics we are here to extend a hand and guide you in hiring a social media marketing team. Why Are You Wasting Money On Facebook™ Ads? It's Not What You Think. The title of this article may imply that I think using Facebook™ Ads is a waste of money, but this is far from accurate. But, I do believe many businesses and brands are wasting their money on Facebook™ Ads because they have no clear structure or goal. It's a loss of epidemic scale. So I am trying my best to help offer any insight I can to help businesses invest effectively in their strategies. Why Is Social Media Like A Trendy Diet? This post is a step-by-step checklist for creating powerful, persuasive bullets that make your copywriting stand out. Messenger Bot Marketing isn't a marketing strategy you want to dive in the deep end without a bit of knowledge. Before you can launch a successful Messenger bot campaign you must understand the WHY.